If you are an OSPA member, please contact conference@wsasp.org to get a registration code. WSASP members must log in to their accounts or renew their membership in order to access this option. This registration is for those who wish to attend the conference but also attend Networks for Life, which is an additional cost. Under House Bill 1336, school nurses, school social workers, school psychologists, and school counselors must complete 3 hours of certified training on youth suicide screening and referral. This will fulfill that requirement. There will not be any registration or admission on-site. Registration is now open for WSASP's Fall Conference! For more information, click here for the brochure. WSASP Fall Conference is now on Guidebook! Guidebook allows registrants to view the conference schedule on their phones! You can view session times, view session abstracts. You can add sessions to your own, personal schedule and the app will send you a reminder on where to go when your session begins! In addition, you can view a list of vendors, upload photos, message and email people, and create a to-do list while you’re there! 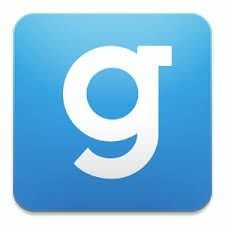 Visit guidebook.com/getit from your phone/tablet to download the app. Then, search for WSASP 2016 Fall Conference. It’s that simple! WSASP MEMBERS:Please log into your account/renew your membership in order to register at the member rate. NON-MEMBERS: Clock hours can be purchased for $2/clock hour. There will also be a keynote speaker. Ben Boone, author of Minority of Mind, will be speak about his experience with schizophrenia. While we are working diligently to create an amazing conference for you all, please make sure you reserve a room at Skamania Lodge for the conference! If you call them directly (509-427-7700 or 844-432-4748) and tell them you are with WSASP’s Fall Conference, you will get a reduced room rate - so reserve today! If they ask you for a code, it is 1XV3LU. Cancellation policy: If you need to cancel, you must contact us by Sunday, 10/30/16 to receive a full refund. If you cancel after 10/30/16, you will be refunded all but $150. This is to cover the cost of food at the conference.